The Long Wave “Winter of Discontent”! At the present time, ‘Deflation’ is the greatest and most urgent concern throughout the global economy. Over the past couple of years, producer prices have fallen throughout the developed economies. Consumer prices have been falling for the last consecutive six months in France, Germany, Hong Kong and China. Japanese wages have actually fallen by 4 percent, over this past year. ‘Deflation’ is a widespread global problem. The Global Central Bankers had believed that printing more money would be the answer. And yet, ‘deflation’ is now a more serious threat, as Global Central Bankers are presently realizing that it cannot be prevented or reversed. These ‘academic pinheads’ have failed to realize that we are in the ‘contraction phase’ of a much larger business cycle which can NOT be eliminated. We are currently experiencing “excess capacity” with crashing “aggregate demand”. All that the Central Banks have managed to accomplish was the “wealth effect” which, in turn, created an “artificial” rise of global equity markets and nothing more. The global economy is now experiencing the “Kondratieff Winter”! In March of 2000, the start of the imploding tech shares ‘bubble’ marked the beginning of “Kondratieff’s Winter Correction Wave”. After 1971, money creation became limitless and debt kept on growing, despite entering “Kondratieff’s Winter”. This system by the Central Banks is doomed to fail before the end of the cycle which will occur sometime between 2020-2021. When gold is part of the monetary system, excessive debt is always eliminated from the system during “Kondratieff’s Winter” (deflation). Since that time, the Fed has fought by all possible means the installation of the “Correction Wave” since the amount of debt is so high that allowing ‘deflation to occur’ would lead to a never before seen ‘catastrophe’. As a matter of fact, we have long passed the point of no return and the only solution that the FED has is to devaluate the dollar, regardless if that means creating a new currency. The FED is systematically keeping “Kondratieff’s Winter” from taking hold and feeding a series of ‘speculative bubbles’. It is my view that the debt margin, for playing the stock market, is linked to the euphoria as seen at each peak period of time (2000, 2007, 2014). In both peaks of 2000 and 2007, the FED’s ‘easy money’ fueled speculation (stocks and real estate) during each time and thereby marked the start of a new ‘crisis’. Those three pivotal periods, 2000-2001, 2007-2008 and 2014-2015, are each separated by a seven-year period. The unsung genius, Kondratieff, and his ‘economic business cycles’ will, in fact, ‘play out’. We will witness a debilitating period of ‘contraction and crisis’. This period is most likely to appear obvious to “Main Street”, very soon, and will continue to persist for an additional three to five years! I am titling this as “The Great Reset”. The FEDs’ balance sheet will continue to grow. Public debt will never be paid back. In fact, there is legislation pending that currently avoids any debt cap. The FED is looking out for Wall Street and, most certainly, not the general public. The collapse in global economic activity is a direct result of too much debt. Debt was intended to increase consumer consumption, but there was a total lack of global “aggregate demand”. 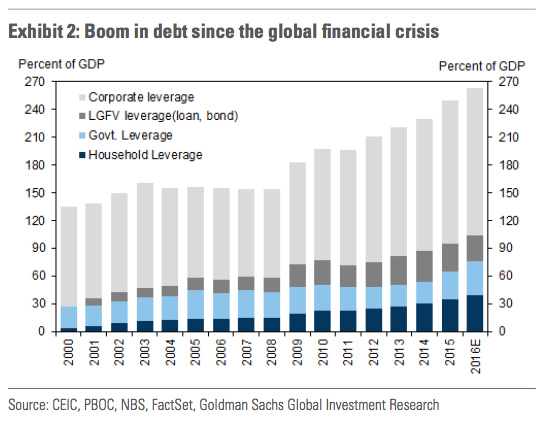 We are currently in the bust of a classic “boom/bust cycle”, however, this is the key point; it is not only companies and individuals with excessive debt, but, countries, as well. Whatever the trigger point is, failing is inevitable, according to IMF’s Managing Director Christine Lagarde, (http://www.imf.org/external/np/omd/bios/cl.htm), who herself states: “the crisis isn’t over”, and no real economic recovery will occur without this crisis “finishing the job” it has started. Just like all major long-term/big picture trends and cycle changes, nothing happens quickly. Its very much a process and the market will continue to move in a direction that makes no sense longer than most traders and investors think. Just like those who warned about the 2001 market crash, 2008 financial crisis, real estate crash, and now the 2016 stock market crash… most of these big picture analysts like myself see these things coming well in advance sometimes 1-2 years before they happen. We warn about these events happening and slowly position ourselves to not only avoid the crashes but to profit from them. But these take time to unfold as these are multiyear cycles and they do not turn on a dime. Confidence is slippery, even when you are a metals investor sitting atop the best performing assets of 2016. It doesn't help when 4 years of a miserable bear market remains fresh in our memories. Any weakness in prices and it can feel like markets are getting ready to plunge right back to $13 silver and $1,000 gold. That feeling is called the "Wall of Worry", and bulls are going to have to climb it by staying in the market even if their emotions are telling them to bail. Let's review the last 6 weeks because they are quite instructional. June 1st: Silver closed at $15.97 and gold at $1,213. Precious metals prices stood well below the highs put in at the end of April and plenty of people declared the end of metals bull run. There was plenty of reason to worry. At the time, markets were obsessed with Federal Reserve policy and sentiment was darkening. The year had opened with turmoil in the stock markets. The S&P 500 was plummeting in response to a December rate hike with the expectation of more hikes to come. 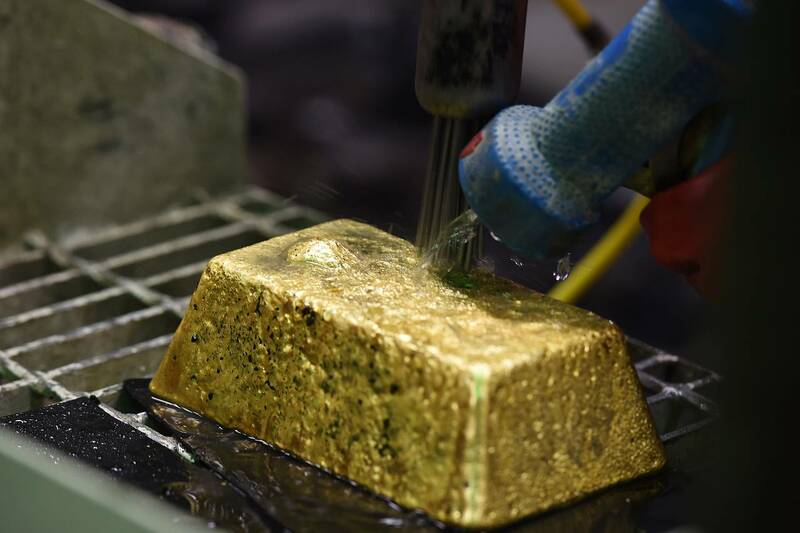 Precious metals surged as investors sought refuge from crumbling stocks. In mid-February Fed officials responded to the collapse in stock prices by reversing their rhetoric on interest rates. They reaffirmed their undying commitment to growth and prosperity through freshly printed cash! Metals got another boost and the S&P 500 took off like a rocket. So much so that, by June, schizophrenic officials had reversed direction once again. They sounded an economic "all clear" and began jawboning about raising rates. Some thought they might even get around to hiking as soon as the FOMC meeting in the middle of the month. June 3rd: The Bureau of Labor Statistics (BLS) released a disastrous jobs report for May, missing even the most conservative estimates by a mile. The consensus on more rate hikes simply blinked out of existence. Forget higher interest rates, investors began wondering if Negative Interest Rate Policy would soon be making its U.S. debut. Gold prices jumped by $80/oz to $1,299/oz over the following 2 weeks. Silver raced ahead by $1.50 to $17.54/oz. Then, in the days leading up to the Brexit vote, metals prices take a beating. Everyone is watching, but no one expects the British to vote "Leave." June 23rd: United Kingdom voters shock people everywhere. Stock markets crash, there is turmoil in the foreign exchange markets and people wonder if Brexit represents the kick-off for the next worldwide financial crisis. Not only were interest rate hikes back off of the table, central bankers stood out front and did what they do best: they assured markets that no one need pay for their sins. They stood at the ready to provide "liquidity," also known as unlimited cash to prop up overleveraged and mismanaged banks and hedge funds who lost bets they couldn't afford on Brexit. The turmoil and safe haven buying drove the gold price from $1,257 to $1,367 by July 8th. Silver jumped from $17.32 to $20.31 over the same period. July 8th: Stock markets shrugged off the turmoil following the Brexit vote. Two days of heavy selling immediately after Brexit were followed by relentless buying. Only investors were split. Some bought risk assets like stocks, figuring the hysteria surrounding Brexit was overdone. Others bought safe haven assets including Treasuries and metals. They saw European banks in a lot of trouble. Italian banks needed a bailout and much larger banks - Deutsche Bank and Credit Suisse - were signaling the possibility of collapse as their share prices traded below the 2008 crisis lows. Cue the next U.S. employment report. This time the BLS puts out a blockbuster number that beats expectations by a mile. That report and the continuing rally in stocks undermine interest in safe haven assets. People once again start whispering about the Fed raising interest rates. Metals and bonds both drifted lower. So what have we learned? World events are unpredictable - perhaps even more so lately. And, in bull markets some of the biggest moves happen suddenly, when people least expect it. Blink and you've missed it. So you just have to hang on to your convictions, and your position, even when worry sets in. The coup deserved to fail, but his purge will cause further turmoil. If it did nothing else, Friday’s failed coup in Turkey proved the adage that even paranoids can have real enemies. 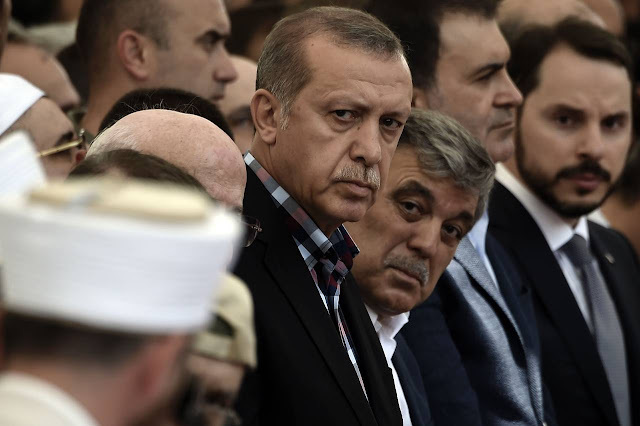 In the 15 years that President Recep Tayyip Erdogan has dominated Turkish politics, he has pursued vendettas against military officers, journalists, police, social activists, Kurdish opposition figures and fellow-travelling Islamists, among others. Now it turns out there was a fifth column against him, and the irony is that its failure may accelerate his march to Putin-like authoritarian power. All of Turkey’s opposition parties joined Mr. Erdogan in denouncing the Keystone coup, and rightly so. Mr. Erdogan and his Justice and Development Party (AKP) have been consistent winners at the ballot box, most recently in November’s elections. Most Turks don’t want to return to the days when the military ran a self-dealing “deep state” that routinely overthrew elected governments. The coup threatened Turkish stability at a dangerous moment. Turkey is already suffering from a slowing economy and accelerating attacks by Islamic State. The Turkish army is battling Kurdish guerrillas in the country’s southeast, and the air force has been in a face-off with Russia over the latter’s violations of Turkish airspace. Some 2.5 million refugees from Syria have flooded the country, thousands of whom go begging in the streets. Had the plotters succeeded, they would have had to use violence to suppress the millions of Turks who would have rallied against them. Unlike in Egypt, where then-defense minister Abdel Fattah Al Sisi took power from elected President Mohammed Morsi in 2013, in Turkey the crowd was not with the coup. Nor were the chief of staff and other senior Turkish commanders who could have resisted with garrisons loyal to Mr. Erdogan. Even the President’s most vehement critics couldn’t have relished a civil war. A broken Turkey would have extended the chaos of Syria even closer to Europe and given Islamic State and other jihadists the opportunity to exploit it. The U.S. conducts many of its operations against Islamic State from the Turkish air base at Incirlik, where some 1,500 U.S. service members are stationed. At this writing Turkey has closed airspace over the base and shut off external power because some of the coup plotters seem to have been stationed there. When those operations might resume is uncertain, but at least the U.S. won’t have to evacuate Incirlik in emergency conditions. But if Turkey has avoided the worst, it still faces what could be a bitter reckoning. Mr. Erdogan wasted no time blaming the coup on followers of his erstwhile ally, exiled imam Fethullah Gulen, and demanding his extradition from the U.S. Mr. Gulen, who teaches a mystical form of Islam, broke with Mr. Erdogan over his increasingly autocratic ways. The Obama Administration has indicated it will consider the extradition request, and Mr. Erdogan will doubtless play Incirlik and cooperation against Islamic State as cards to get him back. But Mr. Gulen and his followers adamantly deny participation in the coup. Without solid evidence of his direct involvement, it would be dishonorable and shortsighted for the U.S. to offer what would amount to a blood sacrifice to Mr. Erdogan’s rage. If Turkey threatens to evict the U.S. from Incirlik, the Administration should indicate a willingness to relocate the base in the Iraqi Kurdish capital of Erbil. As worrying is Mr. Erdogan’s round-up of thousands of opponents in what looks like it could become a wholesale political purge. So far some 2,800 officers and soldiers have been arrested, including nearly 40 generals. That may be necessary for restoring democratic rule, but it’s hard to make that case about the immediate dismissal of 2,745 judges, including two members of the Constitutional Court. It’s worth wondering if their names were already on a list before the coup gave Mr. Erdogan a pretext to dismiss them. U.S. policy toward Turkey should be to support the principle of democratic rule in a stable and cohesive state. The failure of the coup staved off one threat to Turkish stability. What remains to be seen is whether Mr. Erdogan’s revenge does even graver damage to Turkey’s hopes for decent self-government and further destabilizes the world’s most dangerous región. - The party: global growth. The liquor: debt. - The life of the party: China. - Why did you agree to go along on a beer run? You hesitate, but you pick up. 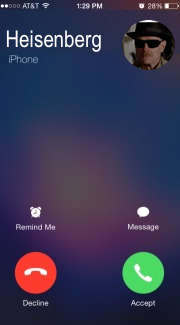 "Hello?" (as if you don't know who it is). "It's me. 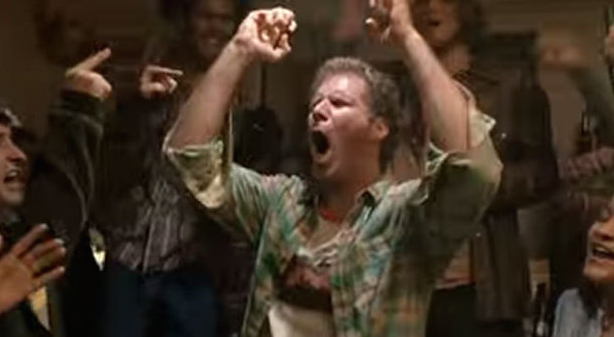 I'm having another party tomorrow. You're coming right?" You try to hide your trepidation. You feign enthusiasm. "Yeah man, what time is everyone showing up?" Now you've RSVP'd. You have to show up. Crap. It's not so much that you didn't have a great time at the last party, it's just that there towards the end, the host looked like he might have had one too many tequila shots and you, like most of the other partygoers, were scared of what might happen next. Fortunately, he stumbled to his room and passed out. He didn't drive anywhere. Or fight anyone. But he could have. Who knows what's going to happen this Friday. For those unfamiliar with the analogy, China is the drunk party host. The tequila is debt. In all kinds of ways, China is the host of the global economic party. They're all at once the engine of growth and the barometer for demand. They're "behind the wheel," as it were. And make no mistake, they're drunk. Drunk on debt. Now the thing is, we don't know for sure where all the debt is. We don't know the extent to which 260% of GDP even captures it all. We don't know which sectors owe what to who. We don't know how much is obscured via banks' exposure to channel loans. We don't know what the real non-performing loans numbers are. Basically, we don't know anything. We're in the passenger seat, China is driving, China is clearly drunk, but we have no way to assess how drunk. I'm not going to run through the mechanics behind China's sprawling shadow banking complex here. If you want to know the details, it's covered here and here, among other places. Rehashing it takes forever, but I will say that in order to fully understand what follows, you need to read those linked pieces. Sorry. It's a pain, but diverting new readers to those is preferable to subjecting veterans to repetition and redundancy. At China's mid-tier lender Industrial Bank Co, for example, the volume of investment receivables doubled over the first nine months of 2015 to 1.76 trillion yuan ($267 billion). This is equivalent to its entire loan book - and to the total assets in the Philippine banking system, filings showed. These are now the fastest growing assets on the balance sheets of most listed banks, excluding the Big Five, not just in percentage terms but absolute terms. The concern is that the lack of transparency and mis-categorization of credit assets potentially hide considerable non-performing loans. 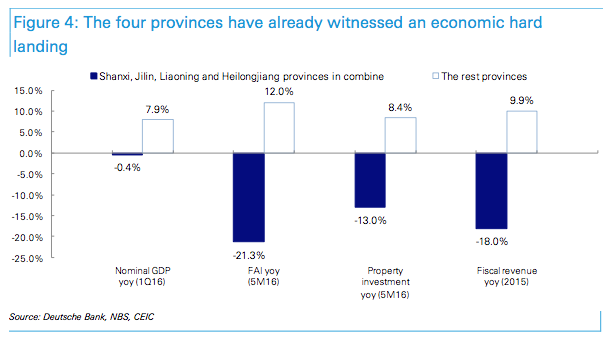 An economic hard landing has already happened in north-eastern China and Shanxi province, with combined nominal GDP growth slowing to 1% yoy in 2015 and further to -0.4% in 1Q16. In contrast, local banking asset growth remained strong at 16% yoy, with city/rural commercial banks and policy banks the key funding providers (assets up 26% for each type), while the big- five banks in the local market only grew their asset base by 6%. The 17 unlisted local banks, which made up 12% of local banking assets, recorded asset expansion of 22% yoy, mainly driven by fast-growing, higher-risk shadow credit (up 78% yoy). We think that these banks are likely providing "evergreen" lending to weaker corporates and hence are associated with higher credit risks. When Deutsche talks about "evergreening", they're talking about companies that borrow just to service their existing obligations. In other words: these companies have reached their "Minsky moment." The 17 local banks grew their asset balance by 22% yoy in 2015. If including the three listed banks in these four provinces, their asset growth registered at 28% yoy in 2015. 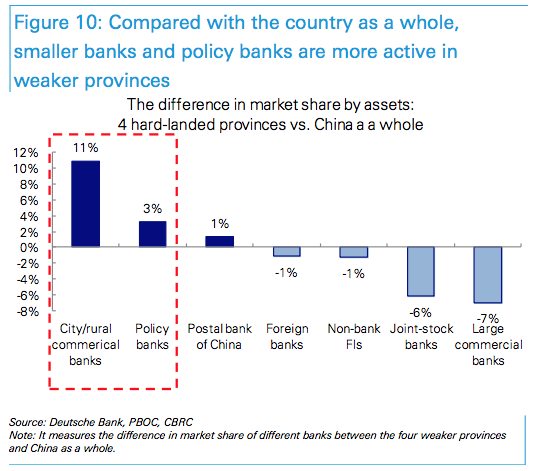 This compares to the Chinese banking system as a whole at 15.7% yoy, nearly twice as fast. Furthermore, it is also stunning when compared with only 1% nominal growth in regional GDP. In our view, one explanation would be that these banks were extending "evergreen" credit to weaker corporates, in order to prevent unemployment and corporate bankruptcy. The strong asset growth was mainly driven by shadow credit (58% of new assets), which was packaged in the form of receivable investments and available-for-sale (AFS) investments. Their receivable investments were up 85% yoy and accounted for 13% of total assets. With a relatively small loan book of c.Rmb50bn per bank, these 17 banks are more exposed to riskier sectors and also have a higher concentration of large customers. As shown in Figure 18, they have notably higher exposure than listed banks to the manufacturing, wholesale & retail trade and mining sectors, which include the major overcapacity sectors (e.g. steel, cement, coal and non- ferrous etc.). In short, one (or more) of these local banks is going to collapse. It's just a matter of time. And when it does, the question becomes whether that sends shockwaves through the rest of the system. If just one of these banks (even one of the country's 130+ city commercial lenders) goes under, it could send shock waves through the whole system and cause a crisis of confidence. It only takes one domino to trigger a collapse. That's when Bass's thesis comes into play. When it comes time to plug the holes, there's really no where to go but down for the yuan for the four reasons outlined at the outset. If the Chinese banking system collapses (which it will), there's no alternative for the PBoC. They'll have to deploy their balance sheet. And you know what that means, right? A sharply lower renminbi. You might as well take risk assets - including US equities (NYSEARCA:SPY) - into the back alley and execute them now. Show some mercy for God's sake. His plans that would get the U.S. back on track include the biggest pro-growth tax cut since 1981 and repeal of ObamaCare. Certain business leaders and prominent conservatives have denounced Donald Trump’s economic policies and even argued that Hillary Clinton would be a better choice in November. This is hard to fathom. Although we disagree with him on some issues, we have both signed on as economic advisers to Mr. Trump because we are confident in the direction he would take the country. Since the end of the recession, economic growth has averaged an anemic 2.1%, producing the weakest “recovery” since the Great Depression. That has slowed to 1.4% in the last quarter of 2015 and 1.1% in the first quarter of 2016. The middle class is shrinking, and median household income today, in real terms, is lower than when Mr. Obama took office. By more than two to one, Americans believe the country is on the wrong track. What does Mr. Trump offer as an alternative? • The biggest pro-growth tax cut since Ronald Reagan’s 1981 reform. Mr. Trump would simplify the tax code and significantly reduce marginal rates, encouraging investment and economic expansion. His proposed corporate tax rate of 15% would make it easier for American firms to repatriate earnings, bringing capital home and making the U.S. a more hospitable place to invest. Mr. Trump’s tax plan would do more for working-class and middle-class families than any scheme to redistribute income. Don’t believe the phony claim that it will cost $10 trillion over a decade. As Americans will see when he reveals the entire plan in the next few weeks, any revenue loss would be a fraction of that amount. • The repeal of ObamaCare, the fastest-growing entitlement program of all. Mr. Trump promises to replace the law with a consumer-choice health plan. He also wants to immediately repeal dozens of President Obama’s antibusiness executive orders. • A pro-growth energy policy. Mr. Trump wants to employ all of America’s abundant resources—oil, natural gas and coal. His plan could make America the world’s No. 1 energy producer within five years, producing millions of new jobs and trillions of dollars of extra output—along with new royalty payments to the government. Mrs. Clinton, by contrast, brags that she would put “a lot of coal miners” out of work. But the difference here is smaller than often portrayed. Although Mr. Trump is depicted as a close-the-doors nativist, he has said that he favors legal immigration, and he has hired thousands of legal immigrants. His proposals on illegal immigration—to build a wall, increase enforcement of the law, deport criminal aliens, defund sanctuary cities, and reduce visa overstays—are reasonable and sensible given that voters demand action. We are also free traders and oppose punitive tariffs. The U.S. needs trade. Yet it also must have a president willing to negotiate from a position of strength with countries that manipulate their currencies, steal Americans’ intellectual property, or compel companies to disclose trade secrets as a condition of entering their markets. Negotiating better trade deals and enforcing the current ones would help the U.S. economy. Ideological purists miss a practical point.‎Right or wrong, working-class Americans believe that they disproportionately bear the burdens of free-trade deals. Taking a tougher stance might be necessary to restore dwindling support for open markets. 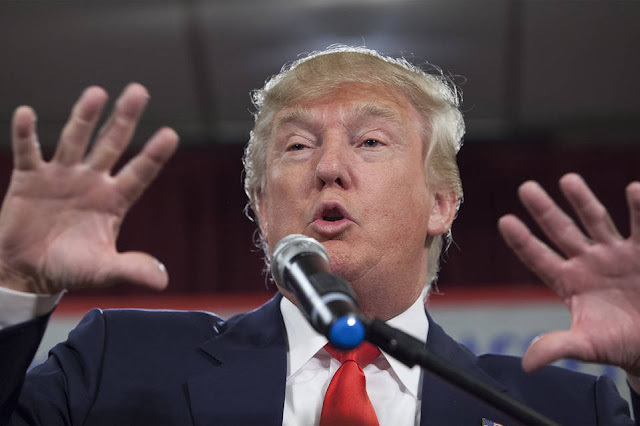 Concern that Mr. Trump is a showman, temperamentally unsuited for the Oval Office, is misplaced. Running a successful business enterprise as CEO is an excellent qualification for the presidency. Mr. Trump has had prolonged success. He didn’t fake that. We find it refreshing and uplifting that middle-class and working-class voters don’t envy Mr. Trump or view him as an evil rich guy. Rather, they admire his success and want to emulate it. Trump’s detractors love to point to his businesses that did not succeed. But one of the great things about the U.S. is that people can rise above their failures. Henry Ford and Steve Jobs did, and they changed the world. The skyscrapers that bear his name all over the world are evidence that Mr. Trump has maintained a level of success that few people ever achieve. Mr. Trump won the Republican nomination decisively against the best field of candidates that any party has put forth in modern times. To win the presidency, he will need to persuade millions of working-class voters that the party of Barack Obama and Hillary Clinton has abandoned them. In doing so, Mr. Trump will bring Reagan Democrats home to the GOP where they belong. Isn’t this what the party has been trying to do for 30 years? Mr. Puzder is chief executive officer of CKE Restaurants. Mr. Moore is a visiting economist at the Heritage Foundation. Both advise Mr. Trump. LONDON – Britain will have a new prime minister today – but the country’s post-European Union future remains uncertain. Indeed, prolonged delays are likely in implementing the voters’ decision to leave the EU. The first uncertainty is the date when exit negotiations will start. The process should be completed within two years of invoking Article 50 of the Treaty of Lisbon; but the incoming prime minister, Theresa May, has already said she would not want to trigger negotiations until the end of the year. The second uncertainty is whether the negotiations can simultaneously resolve the United Kingdom’s terms of exit from the EU and its future trading arrangements with Europe’s single market. While the UK will claim that, under Article 50, negotiators should be “taking into account the framework of future relationships,” the EU trade negotiator is insisting that future arrangements can be discussed only after Britain leaves. The third uncertainty is Britain’s negotiating objectives. Will it seek full access to the single market (the Norwegian option), or to part of it (the Swiss option)? Or will it go for the Canadian low-tariff option, or just trade with Europe on the same terms that all World Trade Organization members do? The fourth uncertainty arises from voters’ concerns over immigration and the extent to which any new EU trading arrangement must be conditional on restricting the free movement of workers. The new prime minister has said she would not accept engagement in the single market without a deal on managing migration. In theory, the Norway option – membership of the European Economic Area – could be stretched to include a Liechtenstein-type protocol on limiting residency permits, or involve use of the EEA’s safeguard clause, which might allow restrictions on migration if inflows rose too quickly. But, fearful that others would demand a similar dispensation, the EU would find it difficult to agree to such a change. The fifth uncertainty is the EU’s own negotiating stance, starting with who will lead the negotiations, the European Commission or the Council of Ministers. German Chancellor Angela Merkel has already made it clear that she will not give the Commission carte blanche to negotiate on Germany’s behalf. Beyond this question lies another: whether Europe will agree on its final negotiating stance before France’s presidential election next spring and Germany’s general election next autumn. The sixth uncertainty is the economic circumstances under which the negotiations will take place. Britain appears to be sliding toward recession as companies put their investment plans on hold. Business pressure on the UK government to move more quickly will thus grow, as a longer wait means a further ebbing of confidence and, in turn, a weakening of Britain’s bargaining position. The seventh uncertainty is whether the UK itself can survive. Lord North is remembered for losing the British union with America. Two centuries on, the outgoing prime minister, David Cameron, may be remembered for losing two unions – with Europe and between England and Scotland. Whereas Conservatives want Scotland to be in a Britain without Europe, Scottish nationalists want Scotland in a Europe without Britain. And with Northern Ireland’s Republicans, led by Sinn Fein, demanding a vote to reunite with the south, the very existence of the UK is now squarely on the agenda. There is one way to lessen uncertainty and risk: The government should quickly announce that it will be negotiating with the EU on the basis of the Norway option of membership of the EEA. And it should make clear that EU nationals resident in the UK are welcome to stay. This avenue would give Britain what businesses want – access to the single market. While the UK would still have to contribute to the EU budget, it could repatriate responsibility for agriculture and fisheries policies and negotiate its own trade deals (for example, with China and India). Joining the EEA would offer an additional advantage – giving Scotland the level playing field it wants in trading with the 27 EU members. It is also essential to resolve the vexed issue of migration. Any genuine solution must include a fund to help communities whose health facilities, schools, and other public services are under stress because of above-average population growth. Tougher enforcement of minimum-wage and other legislation protecting workers is needed as well, so that we allay fears that migrants are forcing a race to the bottom. And EEA negotiations should begin on the basis that our membership would include a protocol on migration and the ability to use the safeguard clause if pressures grow. An eighth and even greater uncertainty, however, concerns Britain’s future global role. In particular, how will it respond to the irreversible shift in the global economy’s center of gravity toward Asia, and to the technological innovations that are revolutionizing industries and occupations – and thus increasing voters’ anxieties about their employment prospects and future livelihoods? The referendum result revealed high concentrations of pro-Brexit sentiment in towns once at the center of the British industrial revolution but now awash with derelict factories and workshops, owing to Asian competition. These areas rebelled against the advice of political and business elites to vote “Remain” and instead demanded protection from the vicissitudes of global change. The “Leave” campaign’s very slogans – centered on bringing control back home – aligned it with populist, protectionist movements that are fracturing old political loyalties throughout the West. The result has exposed a Labour Party divided between a leadership that elevates anti-globalization protest above winning power and a Parliamentary group that knows it has to explain how globalization can be managed in the public interest. But the governing Conservatives are also split on how to respond to globalization. Some believe in a global free-for-all; others believe that Britain should be free of foreign entanglements; and a third cohort wants, like Labour, to be part of the EU, viewing it not as the problem, but as part of the solution to managing globalization. But, because of these divisions, none of the leadership contenders have put forward any proposals that address in any meaningful way the grievances of those who feel left behind. So post-referendum Britain needs a more comprehensive debate on how it will cope with the challenges of global change and how it will work with the international community to do so. A viable program for managing globalization would recognize that every country must balance the autonomy it desires with the cooperation it needs. This would include coordinated monetary and fiscal policies across the G20 countries; renewed efforts to expand world trade; new national agendas addressing inequality and promoting social mobility; and a laser-like focus on science, technology, and innovation as the key to future growth. As long as globalization appears leaderless, anti-globalization protesters will stifle reform, shout down proposed trade deals like the Transatlantic Trade and Investment Partnership and the Trans-Pacific Partnership, and make national economies less open. Now facing life outside the EU, Britain cannot ignore or sidestep these global issues. The UK must now decide whether it will stand up to the protectionist impulse that drove Brexit and what part it can play in making globalization work for all. The South China Sea case proves that laws mean nothing if there is no enforcement mechanism. A court in The Hague ruled in favor of the Philippines in a dispute over islands in the South China Sea earlier this week. The Chinese told the court, the Philippines and anyone who cared to listen that they couldn’t care less about what the court said. This has led some to assert that tension is increasing in the South China Sea. If only because people seem to care a great deal about the topic, we need to address it. First, a lot is said about the rule of law. Thomas Hobbes, an English philosopher, pointed out that law can only exist when a Leviathan exists. What he meant is that the law only exists when there is something enormously more powerful than the individual actors who feel compelled to obey the law. Therefore, international law doesn’t exist because there is no global Leviathan that can enforce the law. It exists only in the sense that there are treaties, agreements and academic volumes on the subject. And there are people who want international law to exist. But there is no Leviathan, no force that can compel nations to comply with rulings they disagree with. Some may wish international law existed. But it does not. It is as if there were a law against theft, and the thieves were more powerful than the police. In that case, there is a law, but the thieves determine what will and will not happen. There are places like that in most countries, and some countries have only that. It is similarly the case with the international legal system. Individual states will not capitulate to the legal findings of international courts unless they choose to. And when they choose not to obey, nothing can be done about it. Some nations, like the United States, are wary about signing international agreements that give international courts jurisdiction. In the United States, a treaty has the force of law and a domestic court may enforce the ruling of an international court. In contrast, other countries are happy to sign treaties, knowing perfectly well that if they object to a particular ruling, they will ignore it. The only countries where international law has meaning are weak, fragmented countries where major powers will support court rulings because they do not affect their national interests. And supporting international law makes major countries look good. African states have complained bitterly that their leaders are subjected to scrutiny and prosecution that would never be applied to major powers. This is undoubtedly true and indicates the arbitrariness of the international legal system. International courts prosecute who they can and pass rulings that they know will be ignored. China’s rejection of the ruling was no surprise, because the Chinese said they would reject the ruling long before it happened, and they never participated in the trial. The trial happened anyway, China lost and the headlines are filled with stories that imply that this matters. The Chinese aren’t embarrassed because internally they can use this to show that the world is against them, and that all of China should come together. In the Philippines, there will be celebration because a court has said that the Philippines was right about something. In the rest of the world, this will be forgotten in a week. The question is, what does this mean for the South China Sea? The answer is that it changes nothing. All sides will continue to make military movements that the others will denounce as aggressive. No side will actually engage in significant military action against the others. We define significant military action as, at a minimum, shooting something meant to hit the other guy. The others will not fire on Chinese vessels because they are not actually interfering with anything important, and also because firing on Chinese vessels is a non-trivial action by a country like the Philippines. The Chinese will not fire for effect on anyone, because they have to assume that the United States would intervene with its massive naval and air forces, and China is not ready for such a confrontation. This is not to say that the South China Sea is trivial. It is encircled by islands from Indonesia to the Philippines. Those islands create choke points that could be readily blocked by the United States – with submarines and aircraft from carriers at a distance and from even more distant bases. China is a trading nation and the fear of being blockaded by the United States is real. The Chinese, like many other countries, see the United States as powerful and, therefore, unpredictable. They believe that in the long run they will have to confront the United States on the periphery of the South China Sea. They hope the U.S. will give them the time needed to build a force that can challenge it. One way to do that is to make themselves appear reckless and dangerous, without triggering a war. Sending warships hither and yon and building islands, all without actually engaging in combat, is their best move. They appear to be more capable than they are, while carefully avoiding a test of strengths. The ideal Chinese solution would be to to convert Taiwan, the Philippines or Indonesia into an ally. That would solve China’s blockade problem decisively. The United States has worked intensely with these nations and with Vietnam to prevent this from happening. If a conversion cannot be done diplomatically, it is always possible to do it by subversion or invasion. The Chinese had such a subversion program in 1965 in Indonesia but it ultimately failed. The Chinese attacked Vietnam but it did not go well. Conducting an amphibious assault against Taiwan would be very difficult, and generating a pro-Beijing program there in the middle of President Xi Jinping’s purges is not likely. The Philippines might prove vulnerable, but making an incursion would take a great deal of time and risk. When we talk of the South China Sea and China, international law is an interesting idea. But the likelihood of China capitulating on major issues of national interest because a court in the Netherlands directed it to is low. In the meantime, the strategic discussion has far more meaning than the legal one. Some may wish it weren’t so, but it is. It is not that there couldn’t be an international government, but having seen Britain rail against the majority for daring to vote to leave the EU, we must be careful what we wish for. A global democracy and police force would leave the Chinese with a lot of votes and power. We might prefer an impotent court to one created by a genuinely global democracy. Leviathans can come in many flavors.